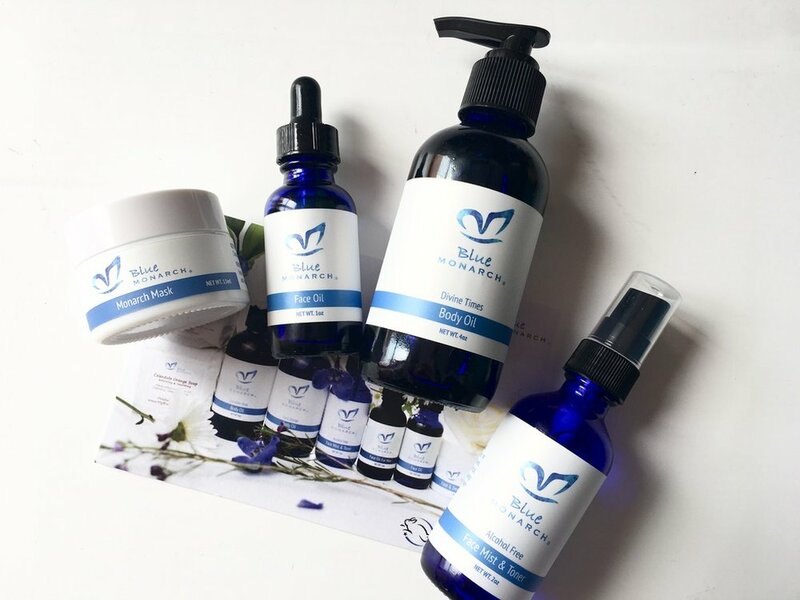 Blue Monarch is an all natural skin and body care company based in Boston and it creates products that are chemical-free as well as cruelty-free. I was kindly sent 4 of their best selling products to try and let me tell you, they are gorgeous. I'm gonna start with my favourite product which is the Anti-Ageing Face Oil. I have used many different types of face oils in my life, dah!!! And this, in my opinion, is one of the best because of one ingredient: Raspberry Seed Oil which is a natural source of SPF, similar to Titanium Dioxide to protect the skin from the harsh UV rays. It provides SPF 28 which is fairly good for everyday use (do use a higher SPF if you are going to be under the sun for even more than 20 minutes) and it is also very nourishing thanks to Organic Extra Virgin Olive Oiland other blends of seed and nut oils infused with flowers. It has a gorgeous yellow/golden colour, the texture is so smooth and it sinks in beautifully. It has this lavendery scent which is absolutely heavenly and I am loving it. I use it in the morning only because of the SPF factor and it sits nicely under my foundation. It retails for $72 (30ml/1 oz) and you only need 3 to 4 drops so a little goes a long way. Another favourite of mine is the Alcohol-Free Face Mist & Toner which has Rose Water, Orange Blossom Water and Chicory Water. It smells light and pleasant plus it does not only hydrate the skin but also soothes. It just feels lovely and I can't help but spray this beauty all day long and I love that the mist is super fine. It retails for $45 for a 60ml (2 oz) bottle and you can use it as your everyday toner, refreshing mist or even makeup setting spray. I'm so glad that Blue Monarch sent me the Divine Times Body Oil. I love a good body oil as I use them way more than butters or lotions. They are just easier to apply and feel much more hydrating. I like to use them after taking a shower or bath when my skin is still damp, and that's how you should use your oils too because this way, oils get absorbed better and skin feels a lot smoother. This oil has Organic Sunflower Oil infused with Fragrant and other healing flowers and herbs which is why it smells kinda herbally/flowery but by no means strong which I really like. It is super smooth and it's also a great option for an all natural intimate lubricant. 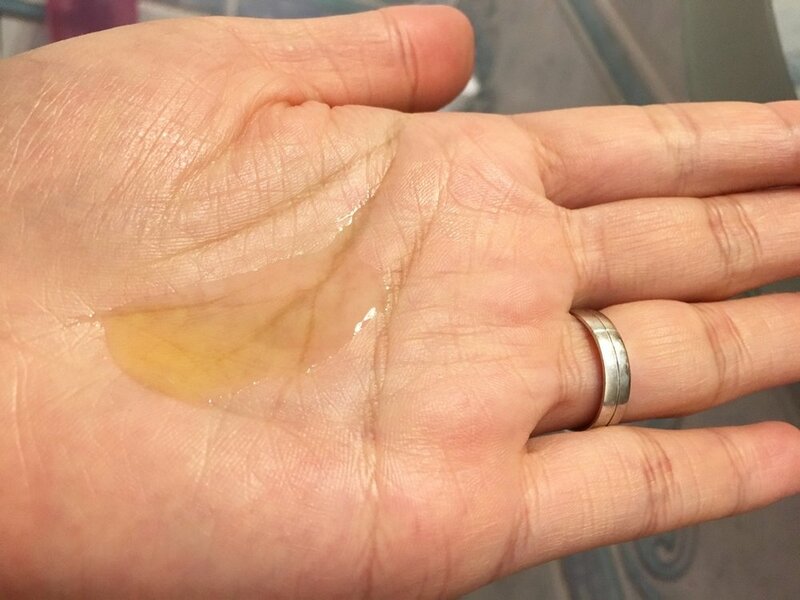 In fact, it's called Divine Times Intimate Oil on their website so ditch your petroleum-based lubricants that could easily cause irritation and substitute it with this all natural goodness that is good for the skin and never cause, well, anything. By the way, it comes with a pump which I so appreciate as it's super duper easy to use after showering. It retails for $52 (120ml/4 oz). Last but certainly not least, is the Monarch Mask which is a clay mask that also has Chocolate, Charcoal and Herbs. One thing I like about this mask is that the texture is super smooth, kinda like chocolate mousse. It doesn't smell exactly "delicious" but it's all right. It claims to deep cleanse pores, build collagen and elastin, help with blood circulation, moisturise, prevent breakouts, balance oily and dry skin etc. which do sound very promising but honestly, I haven't noticed any of that just yet because I've only used it a few times so I'll keep using it and update you on that. But for now, the only thing I've noticed is that it makes my skin a little dry after rinsing it off so I recommend mixing in with a few drops of your favourite face oils if you have dry skin. It's not the best clay-based mask I've tried but it's not a bad mask. It retails for $38 (15ml). All in all, Blue Monarch does a great job on creating these lovely products and I can't recommend them enough except the face mask but I'll give it the benefit of the doubt and keep using it, see what it does in the long run and of course, report back. As for now, go check out the face mist, face oil and the body oil as they are fabulous. Blue Monarch also makes essential oils and other all natural products so if you are interested, check them out. FYI, all products come in the gorgeous deep blue glass bottles so thumbs up for the packaging and don't forget to recycle after use. Have a lovely the first day of May and of course the rest of the week. Muahh!